I wasn't going to join in this weeks Gallery theme. I got quite emotional looking through everyone's pictures and that made me really miss my mum. Six months on and it really isn't any easier. I'm still randomly bursting into tears at the most bizarre things (that only she would understand). 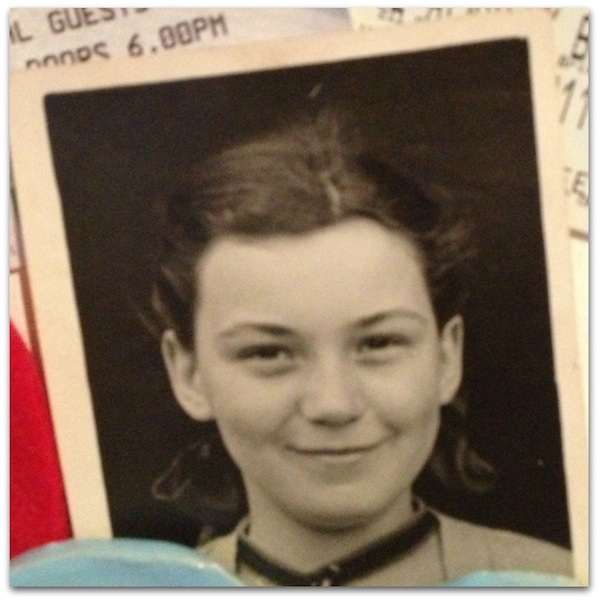 This photograph of Mum (aged 9) fell from the bottom of a drawer in my office last week. Her way of showing that she was with me? Anyway, what I have realised after pinning it on my wall, is that Betty (who is also 9) really, really looks like my mum. For The Gallery over on Tara Cain's blog. If you don't know what it's about, pop over and have a read. Oh she does! She really does! What a brilliant connection :) A "meant to be" post for this week.